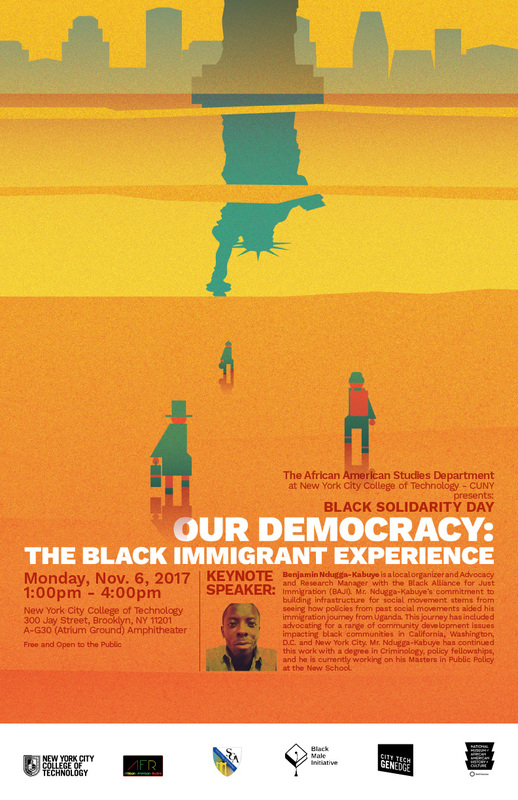 Benjamin Ndugga-Kabuye is a local organizer and Advocacy and Research Manager with the Black Alliance for Just Immigration (BAJI). Mr. Ndugga-Kabuye’s commitment to building infrastructure for social movement stems from seeing how policies from past social movements aided his immigration journey from Uganda. This journey has included advocating for a range of community development issues impacting black communities in California, Washington, D.C. and New York City. Mr. Ndugga-Kabuye has continued this work with a degree in Criminology, policy fellowships, and he is currently working on his Masters in Public Policy at the New School.